Affair Lyrics by Baani Sandhu feat Dilpreet Dhillon is latest Punjabi song sung by them and composed by The Kidd. 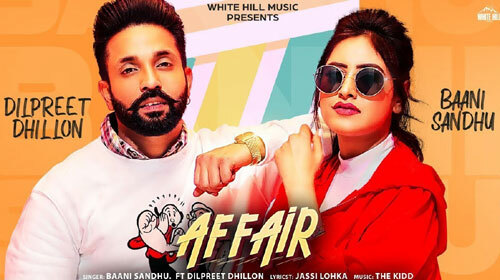 Affair lyrics are written by the lyricist Jassi Lokha and video is directed by Aarish & Sukhd. If you find any mistake in lyrics of AFFAIR LYRICS – Baani Sandhu | Dilpreet Dhillon song please let us know in comments.